Can I share a secret with you? 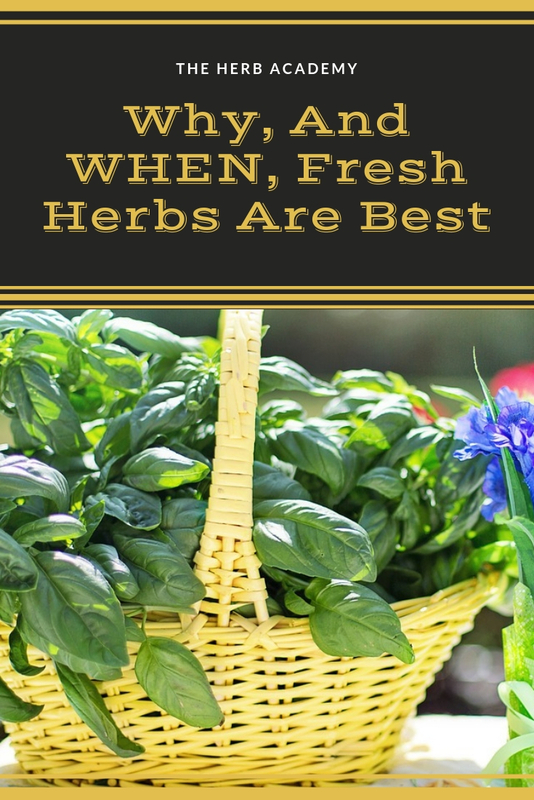 If you only learn one thing from this Grow Your Own Herbs Course learn this: FRESH is BEST. The difference between fresh and dried herbs is as profound as the difference between summer and winter. One is full of sparkle, warmth and life, while the other is dull, cold and lifeless. When you choose to cook with fresh herbs, your cooking is open to the full spectrum of flavours and aromas. Just as nature intended. If you use dried herbs, the flavours and aromas are often so faded and weak that they add about as much excitement to your dish as dried grass! Does this mean that you can never make use of dried herbs? Of course not. In fact most of the spices we use are in a dried form. The drying process concentrates certain, but not all, volatile oils in the plant. (The word ‘volatile’ means that the oils evaporate rapidly). 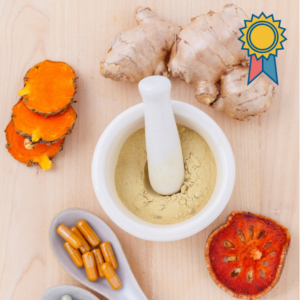 These oils are largely responsible for the flavour and aroma of the herb or spice. And as the name denotes, these oils are flighty and evaporate quickly, so one loses them easily. Spices are derived from seeds, roots and bark. These ‘hard’ parts of the plant have the advantage that they tend to capture the volatile oils. Some plants have become so adept at this that we need to use special steps to ‘release’ these oils. In the cooking process, we release the flavours and aromas of spices by grounding or crushing them, or by adding them at the start of the cooking period. Medicinally, we make a decoction (brew or simmer the plant) to ‘unlock’ its medicinal properties. When using the softer parts of the plant or herb, i.e. the leaves and flowers, it is not always possible to capture their volatile oils as successfully as the ‘hard’ parts. The moment they are bruised, their oils escape into the air. Medicinally this can be an advantage, as we can simply make a tea or infusion, which will be full of all the plant’s medicinal properties. However, when we want to use herbs for seasoning delicious meals for the enjoyment of ourselves and those we cook for, we run into a few problems. The first of these is that herbs like sweet basil, mint and parsley lose most of their flavour once they are dried. In this case you could do better by using dried grass! Secondly, the drying process can also ‘sharpen’ some flavours, while the aromas fade. This means that the dried herb don’t have the balance and subtlety of the fresh version. Putting it another way: dried herbs tend to be one dimensional, and one can easily use too much of a dried herb and ultimately ruin the dish. In other cases, the drying process is actually a good thing. A good example is dried oregano which is much more powerful than fresh oregano. Its stronger and sharper flavour stands up well to pizza, marinades and roasts. 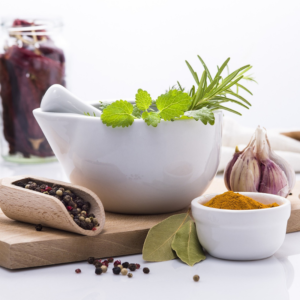 The greatest advantage of using fresh herbs is that you are able to make use of the full spectrum of flavours and aromas to create tasty dishes. You will also discover that as your confidence grows, you eventually find it almost impossible to cook without fresh herbs. With dried herbs one loses the fine nuances of the herb and it is easy to spoil a dish. Most novice herbal cooks tend to use far too heavy a hand with dried herbs, and much too little of the fresh equivalent. The dish is either overwhelmed by the herbs or even worse, has little flavour! You can safely use a generous amount of fresh herbs in your cooking, but rather restrain yourself when adding the dried form to your dishes. TAP To Join! Discover how to elevate your cooking from bland and boring to bursting with flavour and flair.